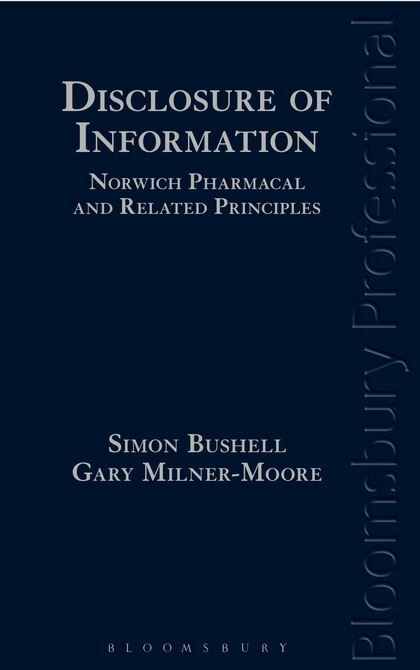 Disclosure of Information: Norwich Pharmacal and Related Principles covers the origins of the jurisdiction and the key stages in its development including: the original Norwich Pharmacal case about identifying a wrongdoer to enable the victim to sue; its application to asset tracing; its evolution to cover any missing link and beyond; as well as the (now abandoned) narrow test of necessity. It also includes an overview of the current requirements for a successful application, which will highlight the interplay between this jurisdiction and other more familiar methods of obtaining information including: disclosure in aid of freezing injunctions; pre-action disclosure; disclosure in proceedings; witness summonses statutory and regulatory powers. 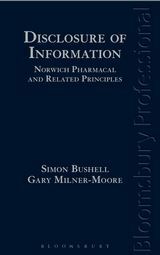 Also included is a detailed analysis of each of the key ingredients dealing with: involvement and the "mere witness" rule; "necessity", including the purpose for which the information is required; discretion, including factors such as confidentiality and the availability of alternative avenues. There are worked examples of when and how the jurisdiction has been invoked in practice in order to give context to the requirements and an analysis of the extent of the information that can be obtained. 17 Where next for Norwich Pharmacal?